Is that not the most #thisis30something post title you’ve ever read? If you would have told teenage me that one day I would get my thrills from a fully-stocked, well-organized fridge, I would have laughed. And then possibly cried. 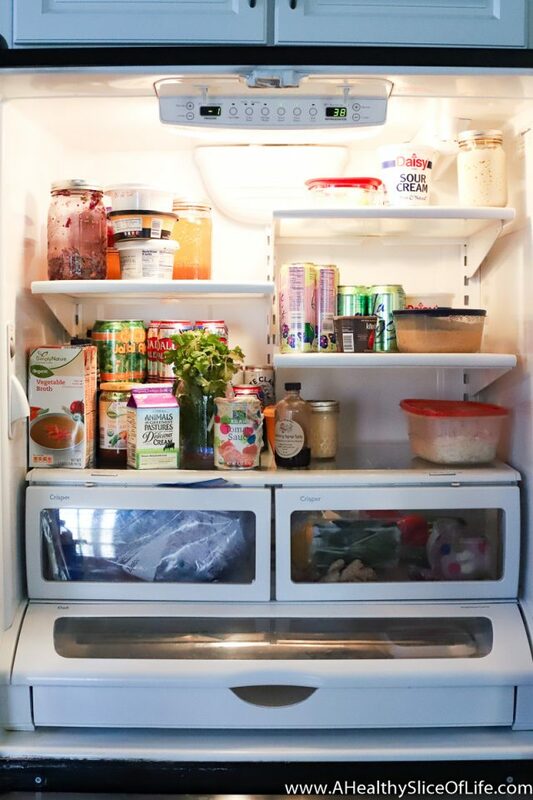 But here I am in all my glory, excited to share with you how I organize my refrigerator! I am a big believer in meal planning and do so once a week. Sign up for my FREE email series stocked with all the details on how I meal plan. This helps me keep grocery store trips to a minimum (I aim for one trip, but sometimes it ends up being two). 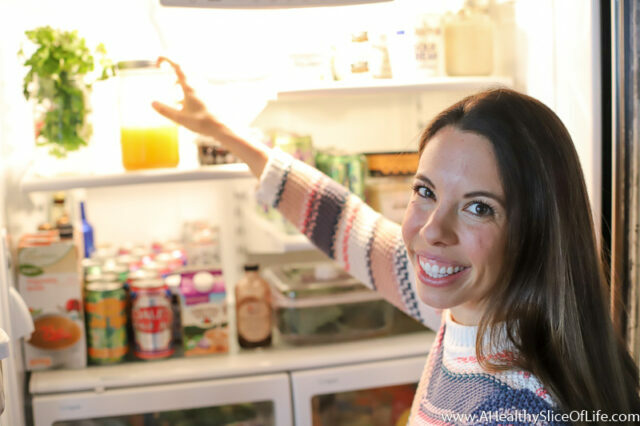 It also allows me to stay on top of my refrigerator cleanliness because at the end of each week, before I head to the store, I make sure to take note of what I already have that can be used in next’s week plan and clear out any old leftovers or herbs that need to be tossed. Ready for loading! From here I go to the store, unload my goods, and do some simple weekly meal prep. I wash, dry, and store any leafy greens so they are ready to go for salads or sautes. I usually make a batch of ginger turmeric tonic for the week too. Nowadays, that is generally as I prepare for the week, unless there is a dressing or marinade I can make ahead of time too. After that, my fridge is ready for the week! The refrigerator door is the warmest part of the fridge, so only condiments go there. I don’t put eggs or milk in the door, as they should be placed in a colder part of the refrigerator. If one drawer is above the other, I use the lowest drawer for meat. This tip is leftover from the days when I worked in a restaurant. Meat can drip and contaminate, so it should always go on the lowest shelf. Eggs do best on the middle shelf, where the temperature is most consistent. Butter doesn’t need to be super cold, so it can go in the dairy compartment on the door. Condiments, pickles, jarred salsas, and nut oils (like walnut oil) all go in the fridge door. Label everything. This is more for my freezer than my fridge, but still, cashew cream can look like sourdough starter and if it isn’t labeled you may end up throwing out all your starter (spoken from experience). Items you can ALWAYS find in my fridge: La Croix, bell peppers, beer, butter, fresh ginger, lemons, herbs. PS- does anyone have a can holder in their fridge? It’s something I’ve been eyeing for a while! 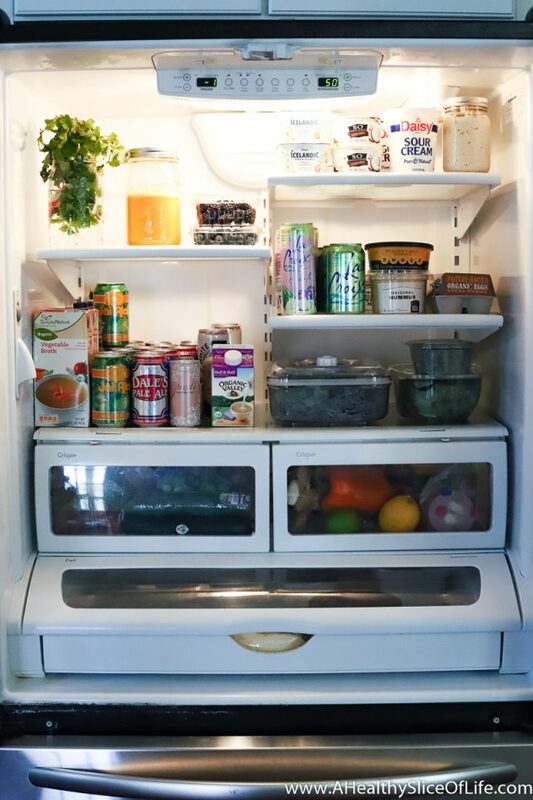 What helps you keep your fridge organized? What items can always be found in your fridge? I love your organization! Question though…how do you organize your freezer? I feel like so many freezer items come in bags & they are so unstackable. Steamer veggies, sometimes we get frozen chicken breasts, frozen fruit, etc. They end up just shoved on shelves then it’s hard to find things, they slide off one another, etc etc. Any ideas there? 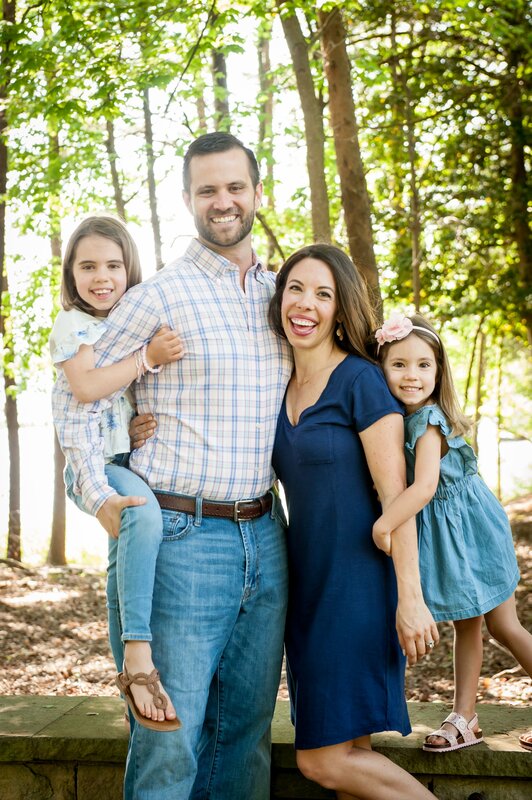 As a fellow organizer, it makes me a little crazy….. I thought of you this morning when the cashier at the grocery stone complimented me on the way I organized my food on the belt. We then proceeded to have a nice conversation on the fun in organization. 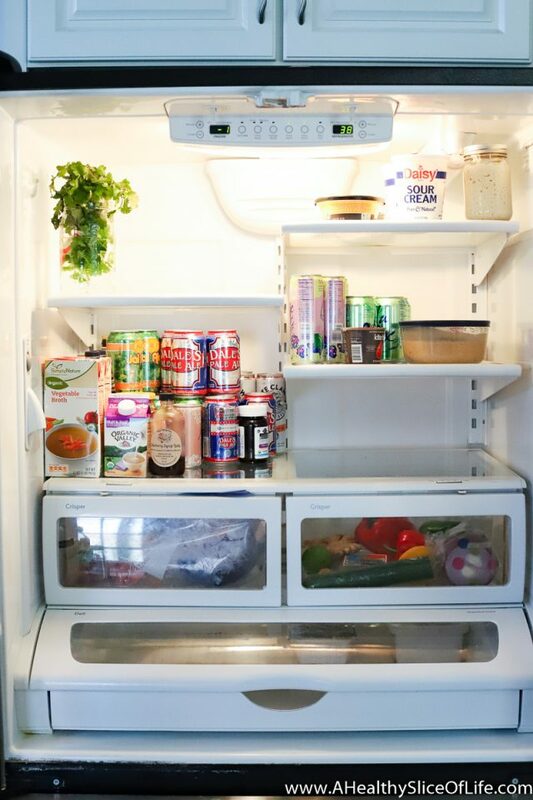 I don’t have a can stacker but my husband used to keep his beer in one of the crisper drawers. I finally had to boot him out (of the drawer) as it finally dawned on me our veggies weren’t doing so well. I’m cracking up because I love an organized food belt too!! I like to unload the cart into the order I want things bagged. Too funny! What a great idea to sort the condiments by type! Makes so much sense! I love how neat and organized your fridge is. I have a bad habit of shoving everything in after buying groceries, then just moving them around later. I love fridge organization haha Last summer, Aldi had these fantastic tupperware sets. They were 3 individual tubs, but all lock together which is a great space saver in the fridge. My daughter has one that is all her own and I always wash and prep easy snack foods like canteloupe, pineapple, bell peppers, cucumber, etc. and she can just grab it and choose her own snacks which she loves. Gosh I love Aldi and love having fruit and veggies cut and ready to go. Makes snacking so much easier! Just added a can holder to my “things to buy for the new house” list! I think I have the same fridge as you, but mine looks NOTHING like yours. (Aka mine is a disaster!) 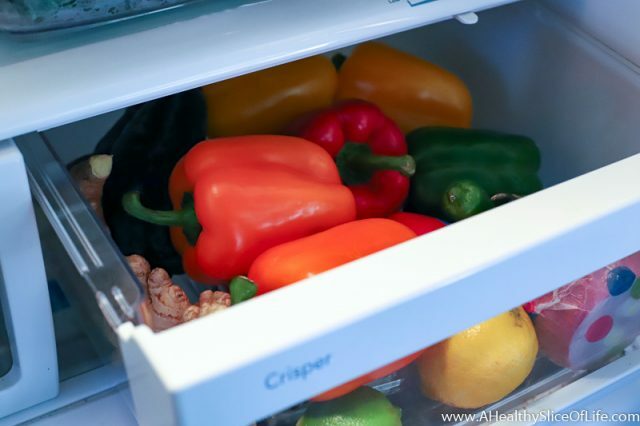 I loved This post though, I think it gave me a kick to reorganize my fridge!